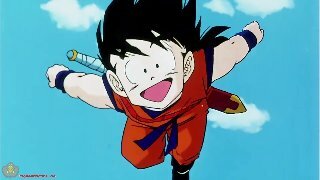 The half-Sayian son of Goku, who see Piccolo as his a fathe figure. His fighting ability got impaired by his Mother, Chichi. Dragon Ball Z Movie 12 - The Rebirth of Fusion! Goku and Vegeta!